Varoom går fra styrke til styrke med spennende artikler om tegning, illustrasjon og utstilinger for engelske illustratører. Bladet har en miks av tradisjonell og moderne illustrasjon, med velskrevne artikler. 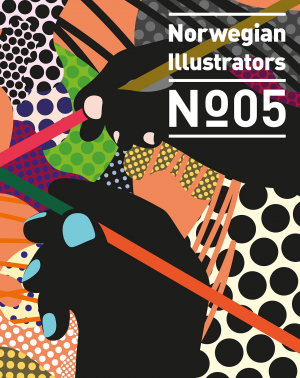 Bladet blir gitt ut av engelske The Association of Illustrators (AOI). What unites haute couture and political posters? Uptown luxury department store window-dressing and downtown graffiti art? Retail packaging and computer games? The 21st Century has chosen illustration to be its defining art form, and Varoom is the perfect platform. 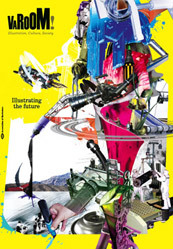 The award-winning contemporary illustration magazine, relaunchs this summer with a fantastic new design and expanded editorial content. Varoom is edited by journalist, copywriter and writer John O’Reilly and art directed and designed by highly-regarded design team Studio Fernando Gutiérrez.